Were you aware that many library’s in the US now have access to digital access to the most popular magazine for patrons to download to read? For Free? There is a catch? It is a simple catch. You need to have a library card and a tablet. It’s that simple. your dentist office to read a magazine you are not paying for are certainly waning. 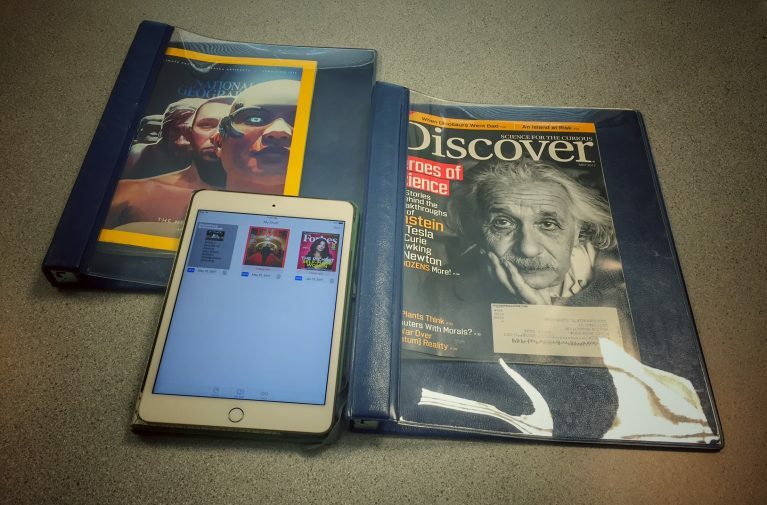 Technology to have read a magazine digitally is here and libraries are embracing it. This mobile avenue offers you a clutter free lifestyle as well. How many magazines are sitting in a pile at home? The great part of a having accessing magazines on your tablet is the ease of removing them. Some of the platforms allow you access to the magazines for a limited number of days and then they disappear. No unsightly clutter to guilt you of your neglect to the subscription you thought was a great deal at the time. This way you can enjoy the freedom of having access to favorite magazines without the cost and responsibility of owning a subscription. Traveling soon? I have friends who have mentioned that reading a magazine while traveling was a great indulgence. Peruse the magazine list before your flight, download them and enjoy them. Do you have any idea how much a Vanity Fair issue may weigh? I am saving you precious travel weight here. Jacksonville Public Library e-content page has a number of platforms you can choose from. There are platforms for ebooks, video, and audio materials but we will focus on the magazines. The two front runners are Zinio and Flipster apps allow access to magazines through your tablet. Zinio promotes itself as the world’s largest magazine stand. My library’s subscription to Zinio offers well over four hundred titles. Some personal favorites of mine are, National Geographic, Wired, Juxtapoz, Utne Reader, New Scientist and The Economist. Some magazines, such as the The New Yorker and The Economist are weekly magazines. If you are a fan of the weekly magazine, you know they can stack up pretty quick at home. Flipster, the other magazine subscription provider, offers about forty-five titles, a smaller selection but important as they include Time, Entertainment, National Review, Forbes, and Cricket for kids. The magazines on Flipster are on a loan basis. When you download a title on to your tablet, there is an indicator of how long you have the magazine for. Libraries across the country, mine specifically, makes it easy for library patrons to get access by offering free tech help with the assistance of an e-service pro. With the help of my e-service tech (his name is Gamble) he had me downloading the current New Yorker in no time. And yes, his time to help me was free. Once you are set up, access to magazine titles are very easy. The above example is from my experience with my city’s library. There are plenty of other libraries in the us that offer similar access to magazines. Large metropolitan libraries such as New York Public library has had access to digital magazines for some time, where smaller county libraries such as Geauga County library in Ohio will unveil their updated website in June to include digital magazines. Libraries have certainly embraced technological changes to better serve their patrons. For Spazhouse, Intuitive Research access to vast amount of material is paramount to the varied topics we work on. There are times we need access to current articles in business and entertainment. 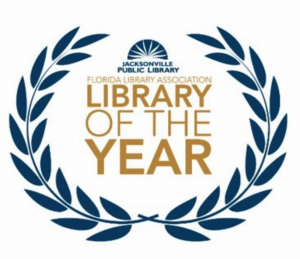 From box office returns report for a podcast to a business report found in Bloomberg Business week, the Jacksonville Public Library is a major source for our work. Thanks JPL! Search online to what econtent is available at your local library, you just may be in for a very pleasant surprise.